Being focused and organized should be every entrepreneur’s mantra, if he wants to become successful. Ensuring you start each working day with a clear mind and on a positive note is essential to progress and growth of any business. uite a number of us are always searching for quick and effective ways to get ourselves organized at the start of each new day; fortunately for us, it’s much easier to get organized than we think. Not only is it easy to do, but it’s important as well because getting organized quickly helps you to stay on top and in control of everything that is going on around you. In order to have a better understanding of how you can tap into the boundless benefits of being organized, here’s a list of 10 quick tips for getting organized you can make use of. Getting your priorities right from the very beginning of each day is also another quick tip for getting organized. For many of us, each new day brings along a whole new set of activities and challenges. To get yourself quickly organized, take a few minutes to plan and prioritize your activities for the day. Focus on what is important for you to accomplish for that day and also what can be delayed till another day. Doing this enables you get organized quickly and ensures the important stuff gets done first. Another quick tip for getting organized is to create a to-do list at the start of each day. This is a very important part of getting organized no entrepreneur or individual can’t do without. Writing a to-do list not only helps you to overcome the anxiety or fear of not meeting deadlines, it also helps you to keep track of activities you have completed and the ones that are yet to be completed. Allocating time frames to start and complete each tasks is also another effective way to get organized quickly. Asides from helping you maintain your schedule, sharing your time efficiently among the important and not so important things also keeps you focused and motivated all through the day. Identifying what your short term and long term goals are for each day is also among the few tips you can use to get yourself organized quickly. More often than not, your short term goals enable you to achieve your long term goals; and knowing what you are setting out to accomplish at the start of each day/week will surely help you get organized quickly and also make the path you have chosen to achieve these goals more efficient. Another quick tip for getting organized is to make use of only one calendar for planning your activities for the day or week. You can choose to use the more traditional a paper calendar on your desk or a hand-held PDA calendar. Either way, endeavor to choose the one that works best for you. Get rid of all other calendars and simply use just a single one to keep track of activities, record important dates and deadlines, etc. If you want to get organized quickly and efficiently, then doing this is essential. For all your personal and work related effects that you own, it is crucial to designate a particular place for them. If you discover that an item doesn’t have a place, make sure you create one for it. Doing this helps you to keep your immediate environment organized at all times and spares you the stress of trying to re-organize or de-clutter your surrounding all the time. When setting your goals, tasks and priorities for the day, it is important for you to understand that starting small gives you an added advantage when it comes to getting organized. You don’t have to conquer everything all at once when trying to get organized. For example, you can decide to focus on a small part; like your drawer or the top of your worktable and organize that. Once you’ve taken care of that part, you can then move on the part that comes to your mind. By the time you realize it, you would have accomplished a whole lot more than you initially anticipated. Being organized isn’t always about getting things done all by yourself. It’s true that planning your day and being in charge of your activities gives you the calmness of mind in knowing things are being done your way; asking a family member, friend or colleague to help you carry out a few simple tasks is one of the quickest ways to become more organized. In your planning stages it is important to consider who else might be able to assist you. Delegating certain tasks to close associates can help you overcome any time constraints you may be facing. Whether the task involves something as simple as doing a follow-up on a potential client or something more delicate such as writing a business plan, choosing a limited number of tasks to accomplish at a given time is also another quick tip for getting yourself organized. By doing this, you will be able to tick such tasks off your to-do list and stay focus on the ones that are yet to be accomplished. 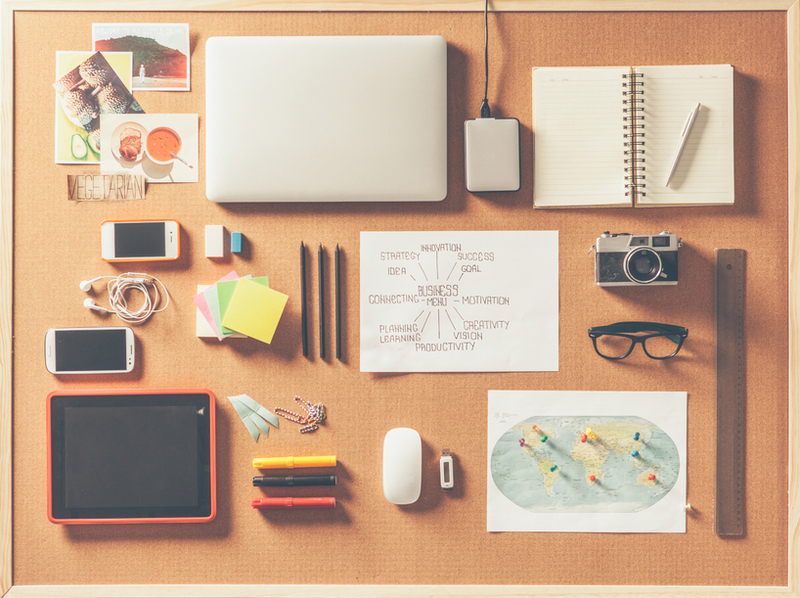 Your ability to multi-task will also be an added advantage for you when it comes to getting organized quickly. Whenever you are done using any item or property, make sure you put it away quickly and properly. Most time, you may be tempted to just put it down somewhere close by, with the aim of putting it away much later. Unfortunately, it only serves to increase the clutter around you and leave your workplace or surrounding disorganized places. Instead of allowing things pile up around you, learn to put them away immediately you are done using them.